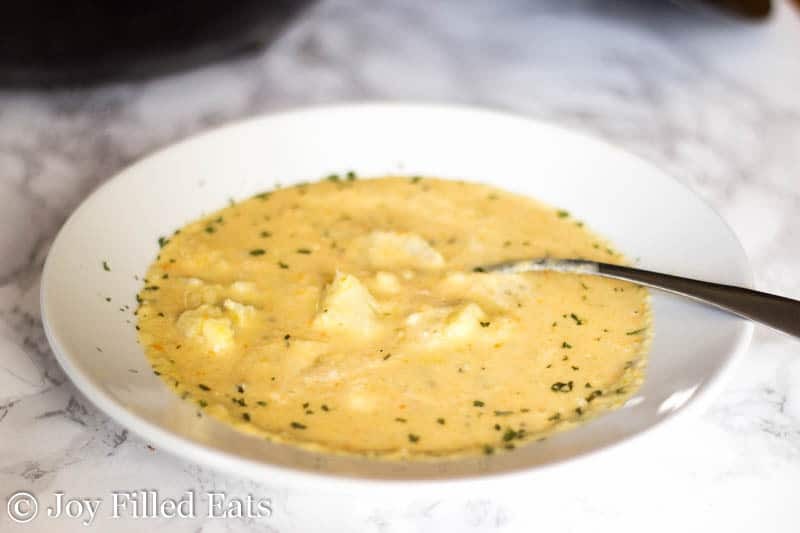 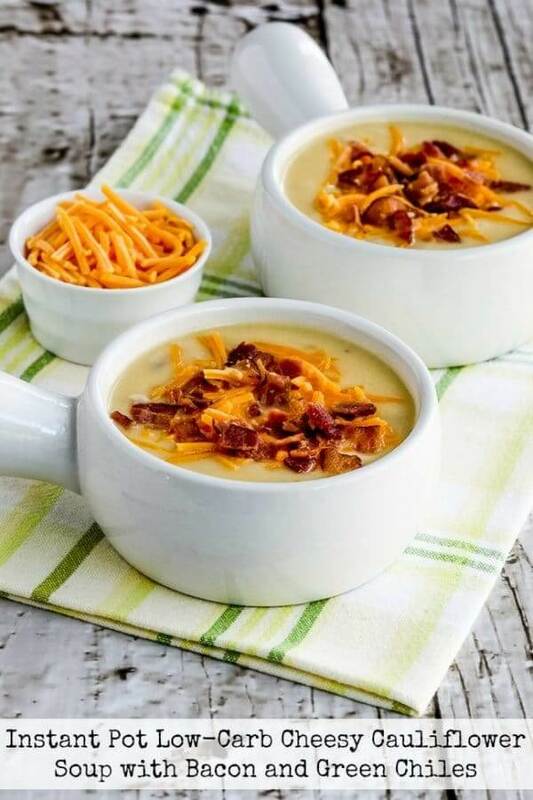 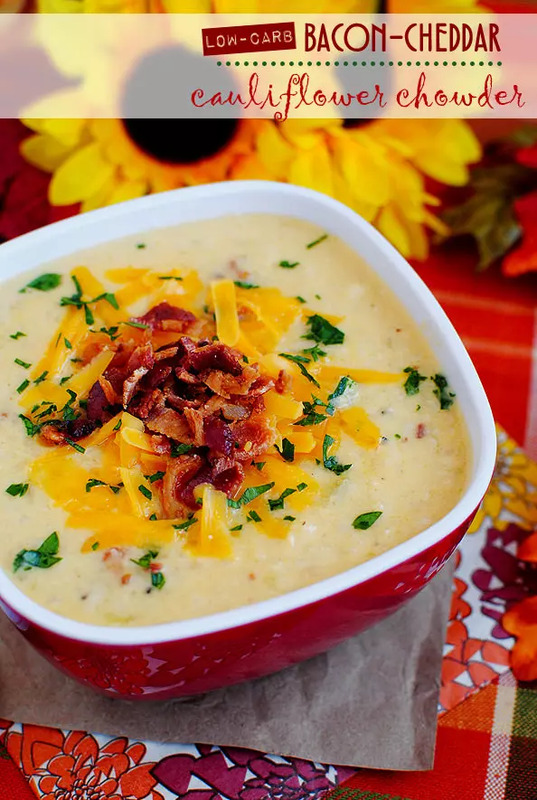 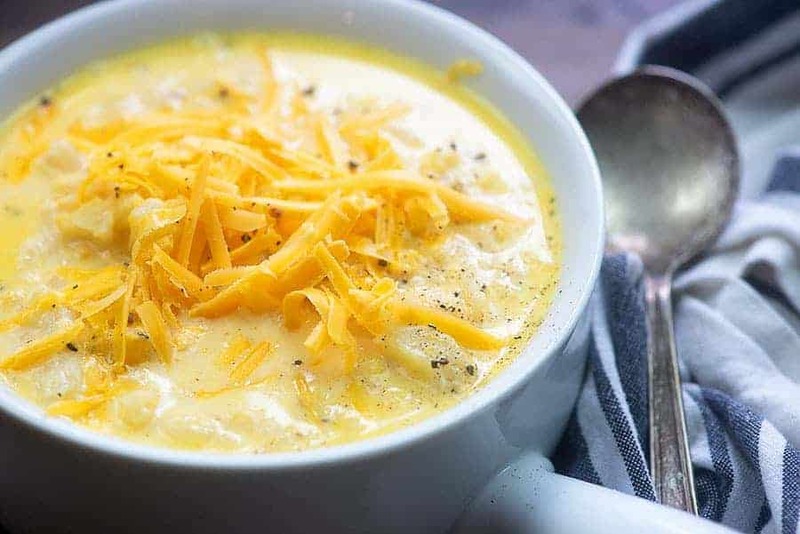 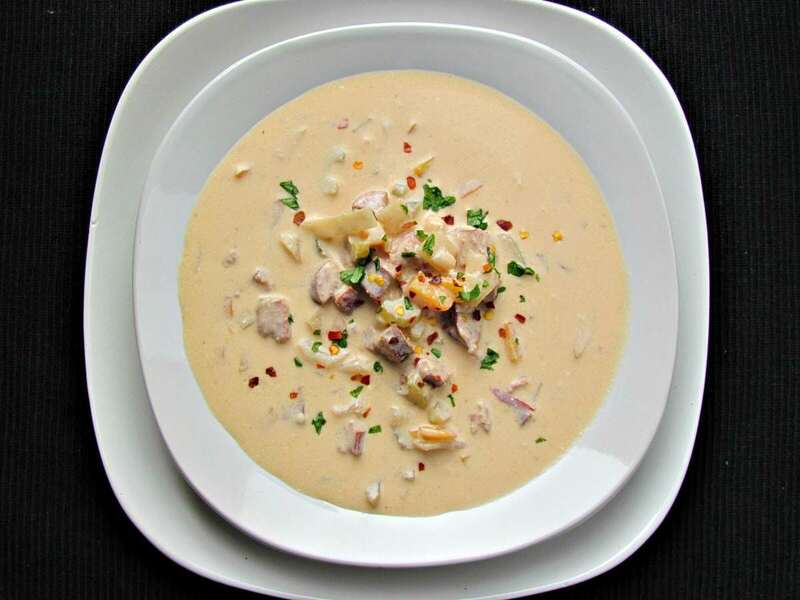 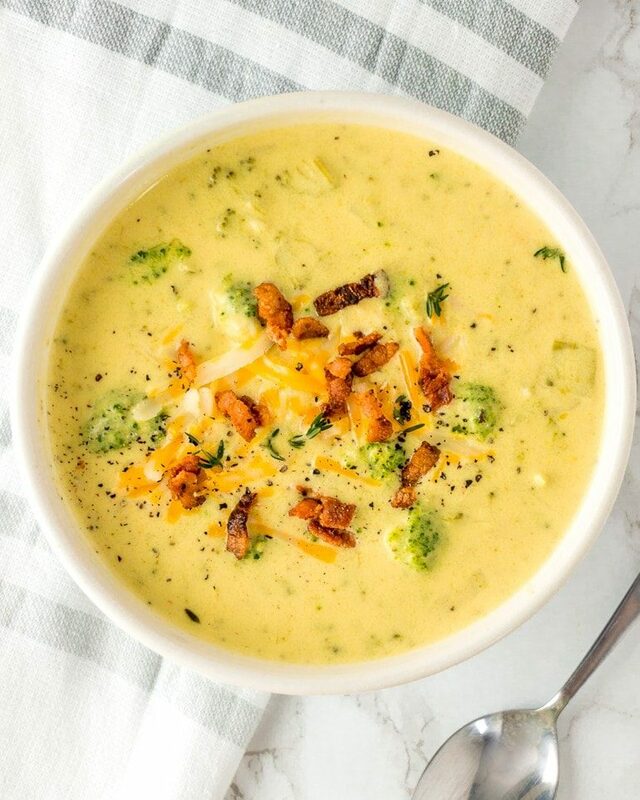 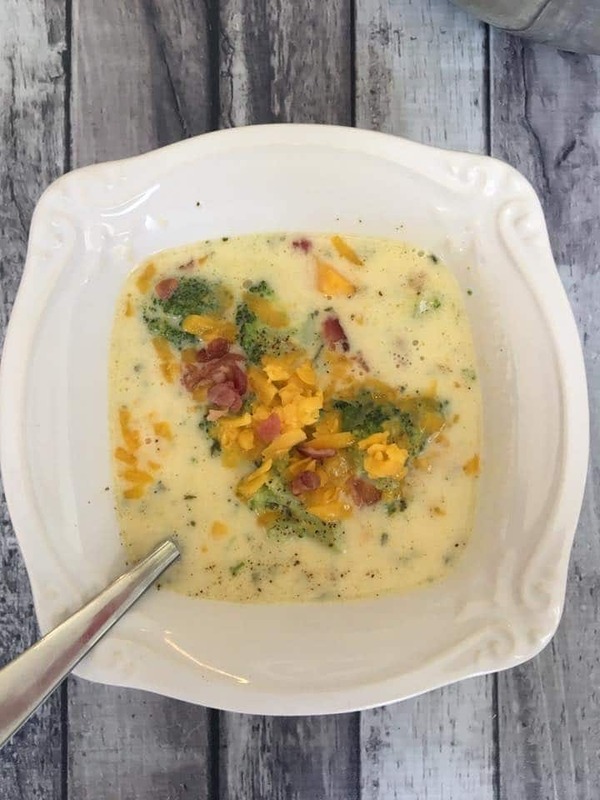 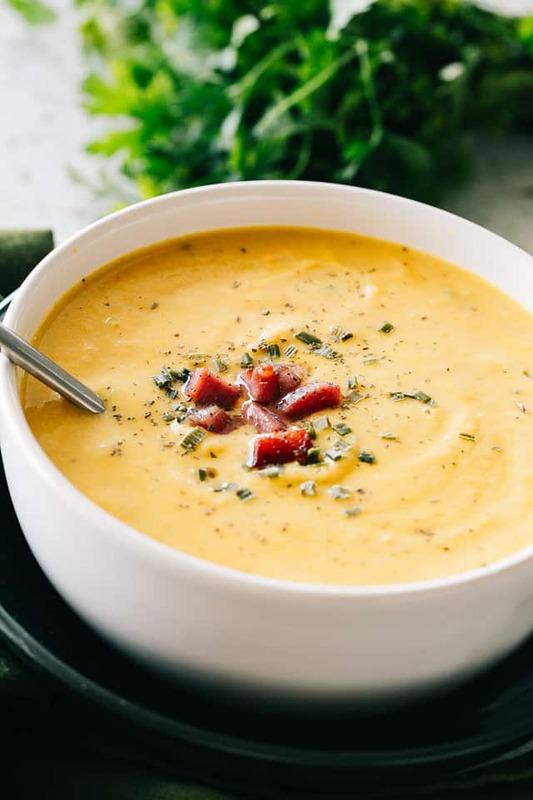 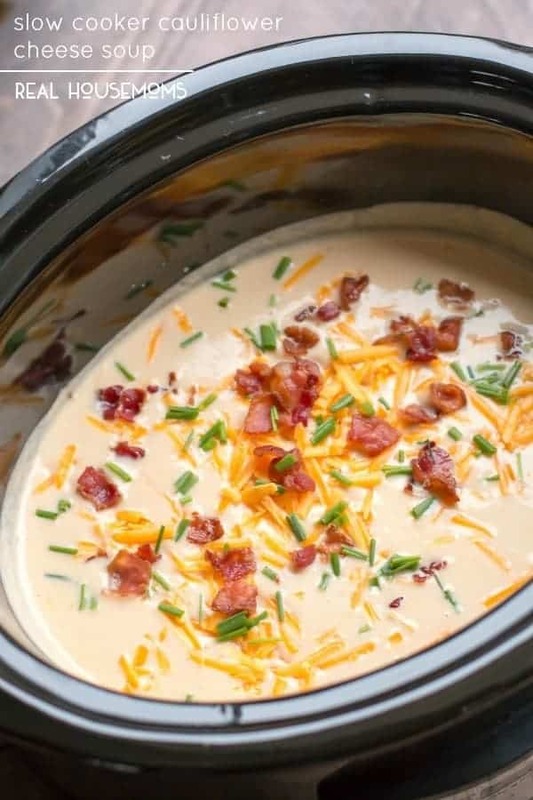 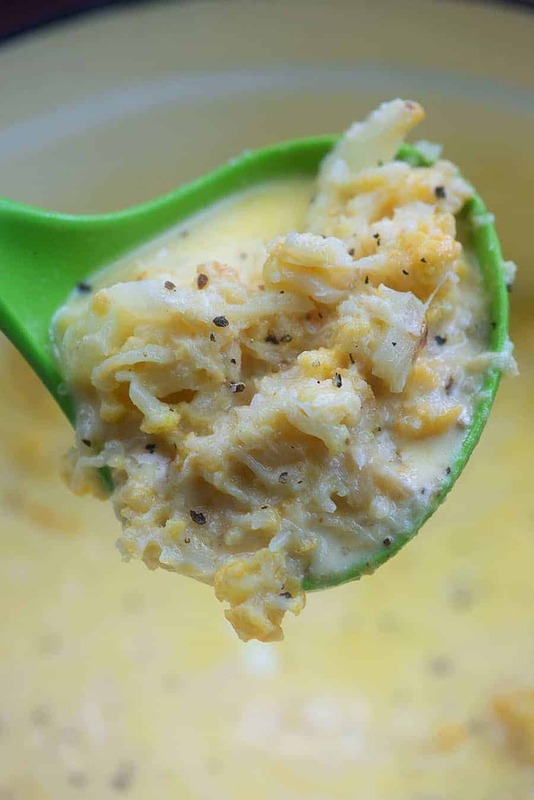 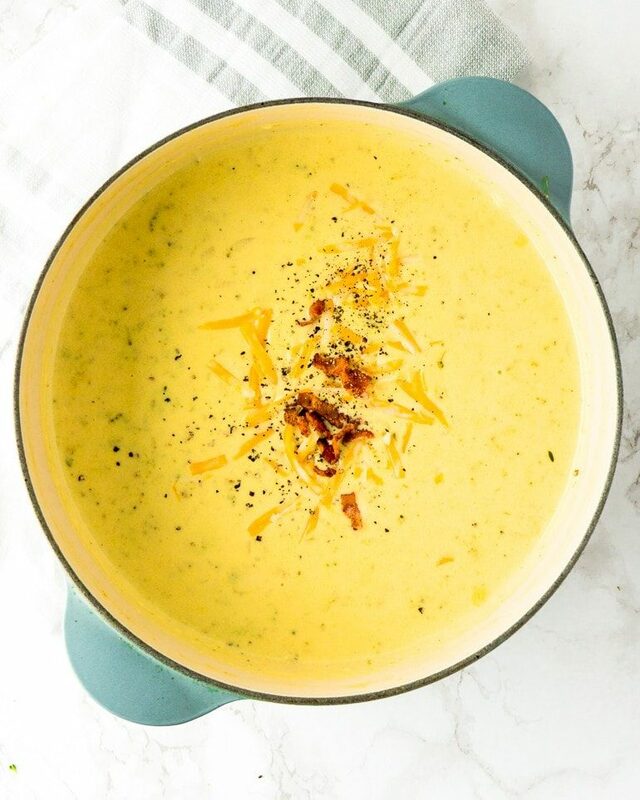 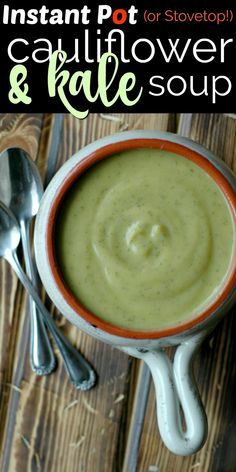 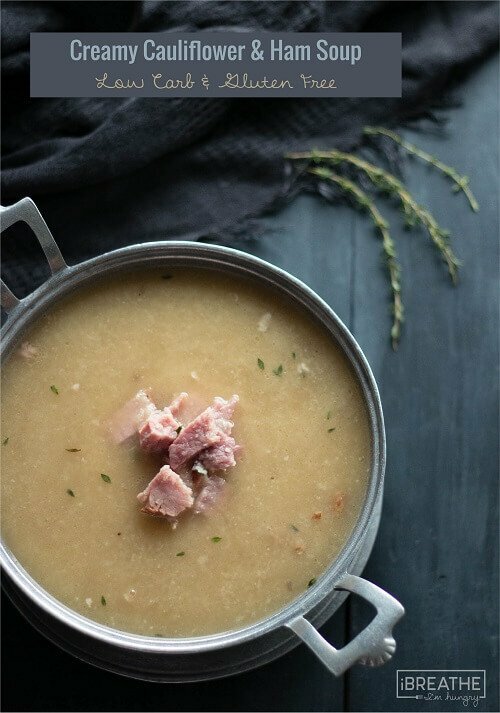 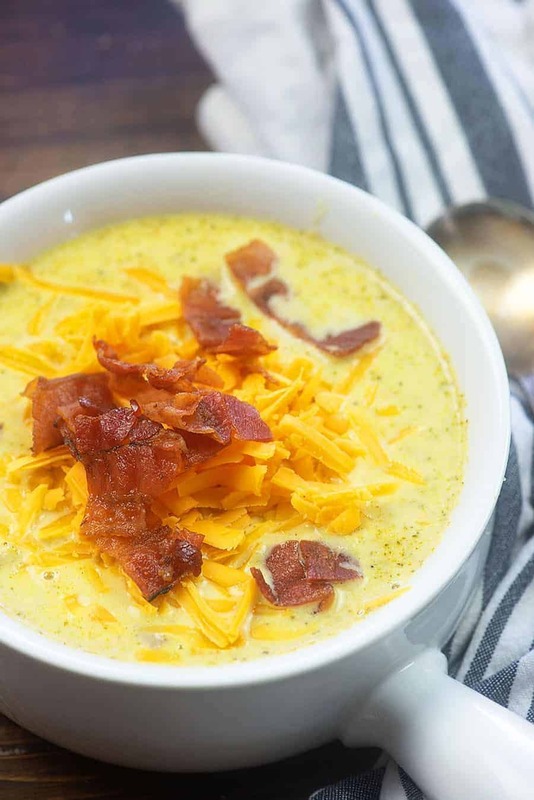 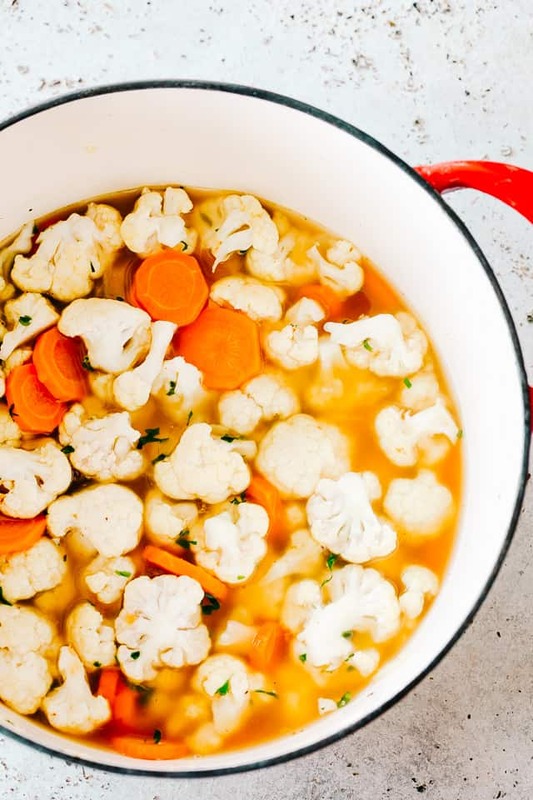 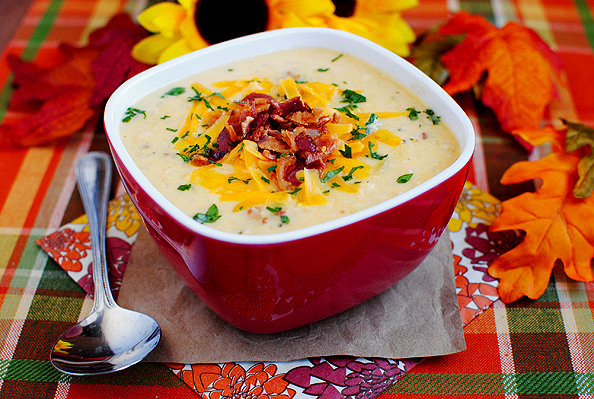 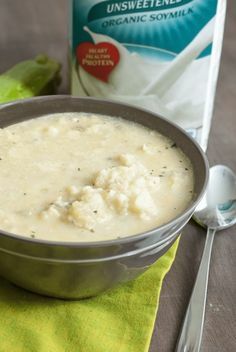 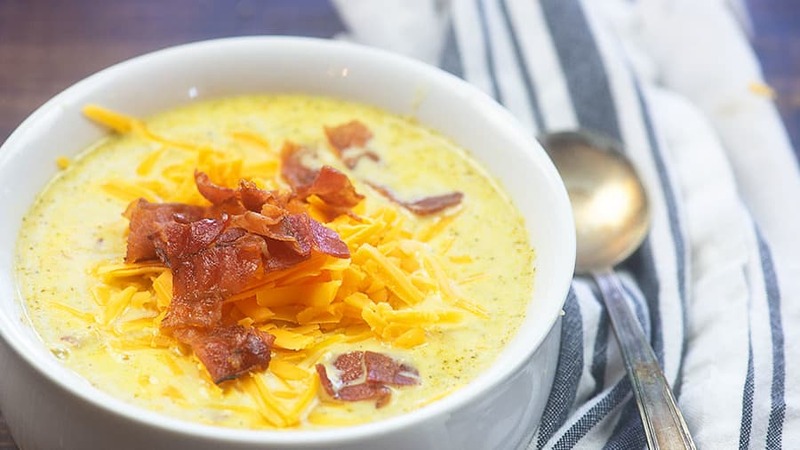 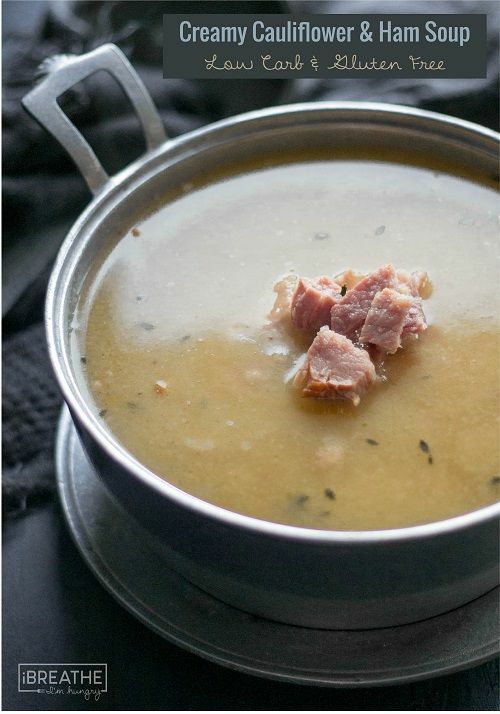 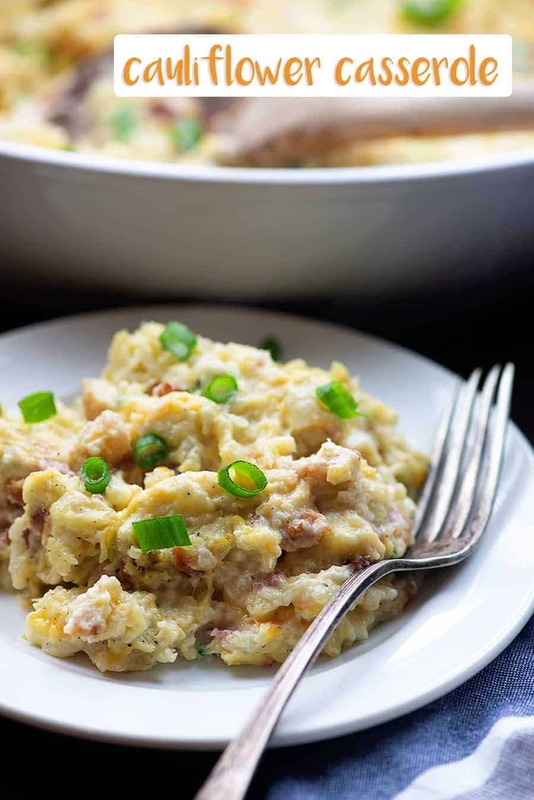 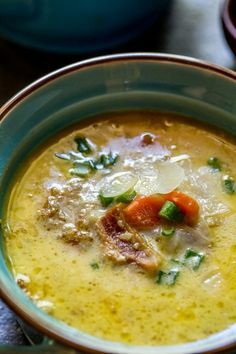 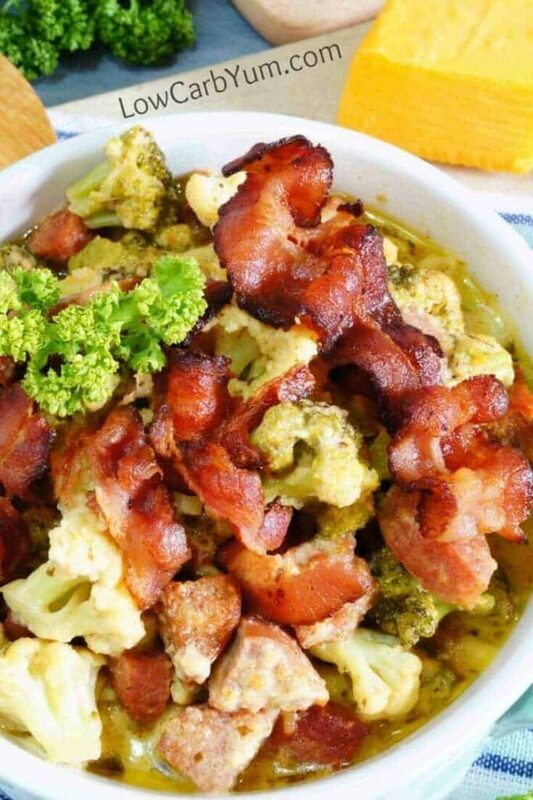 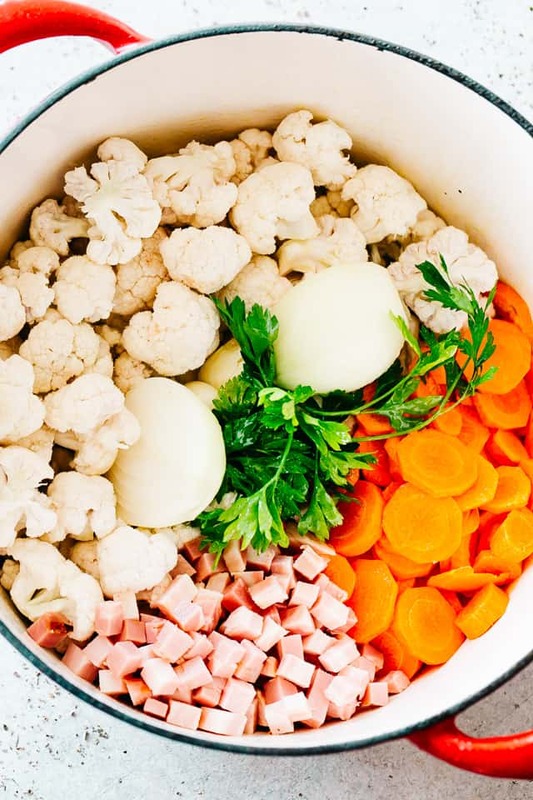 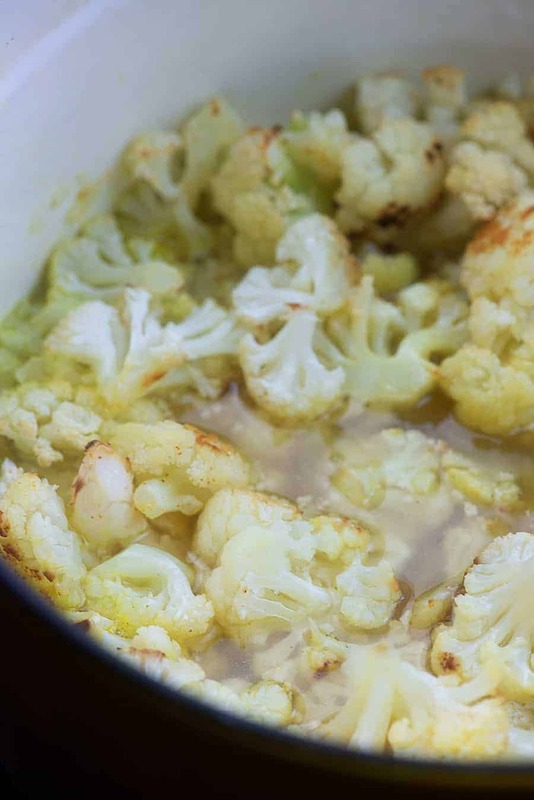 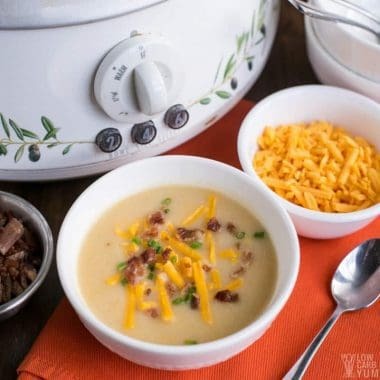 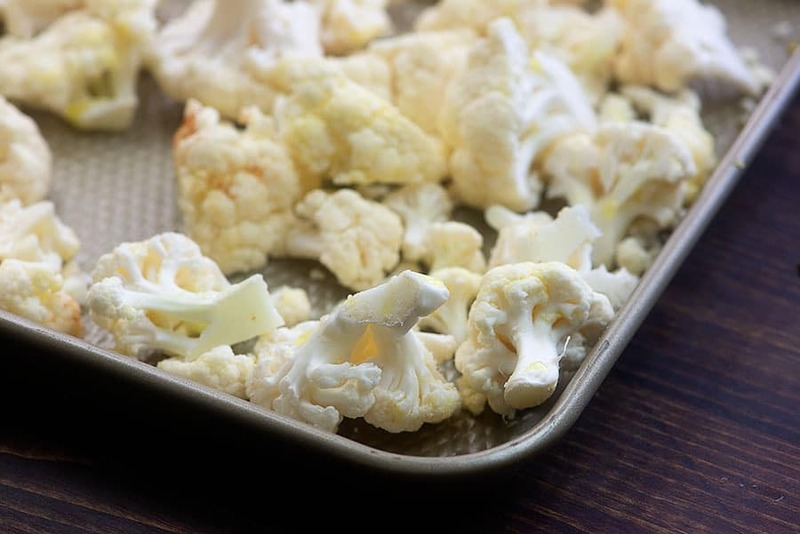 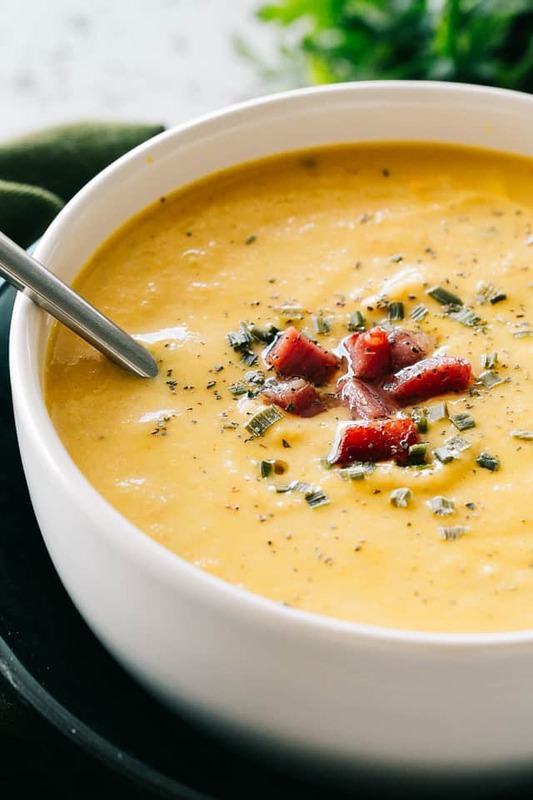 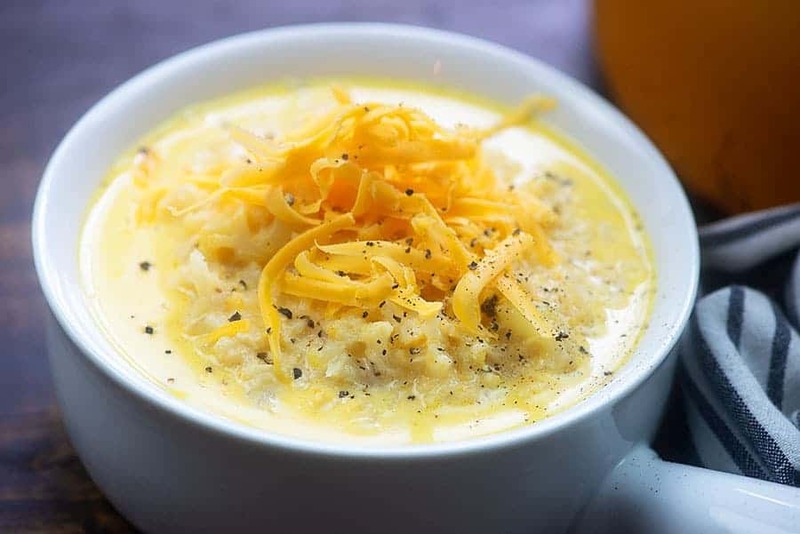 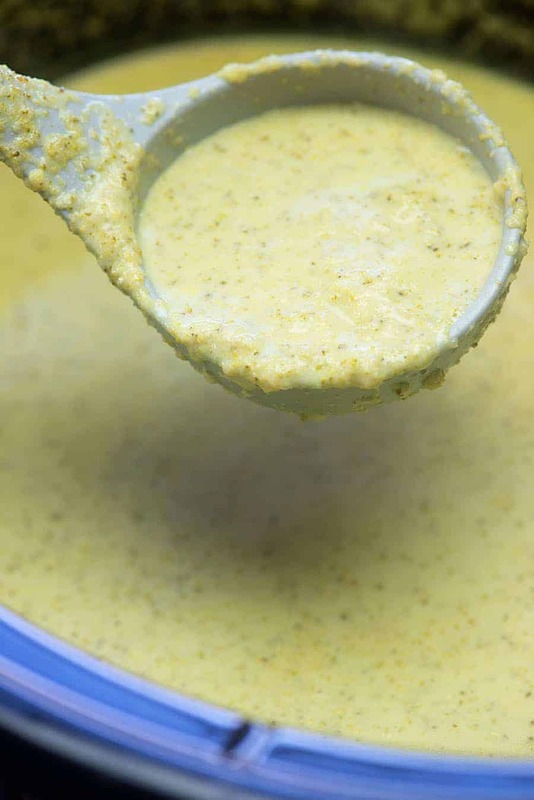 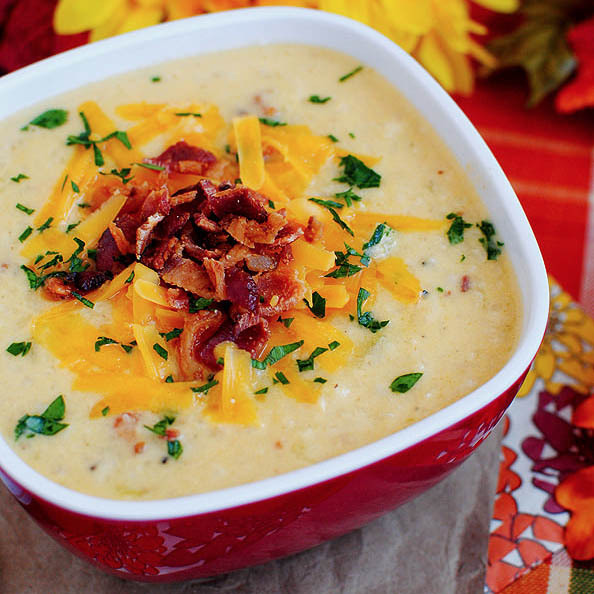 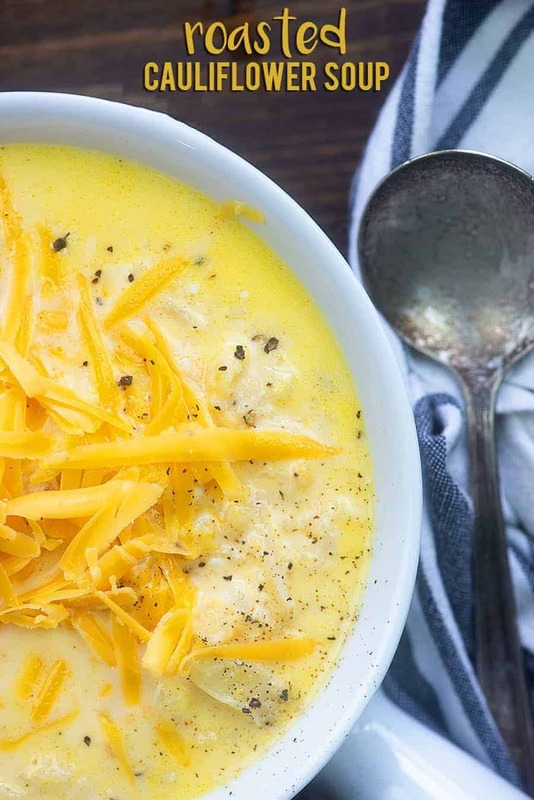 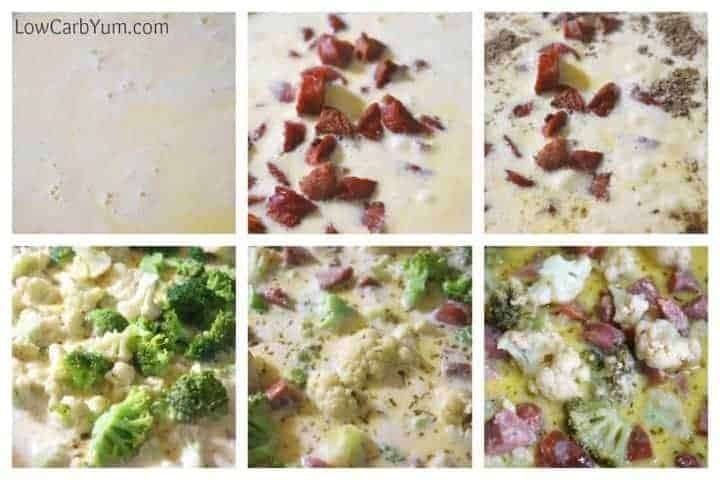 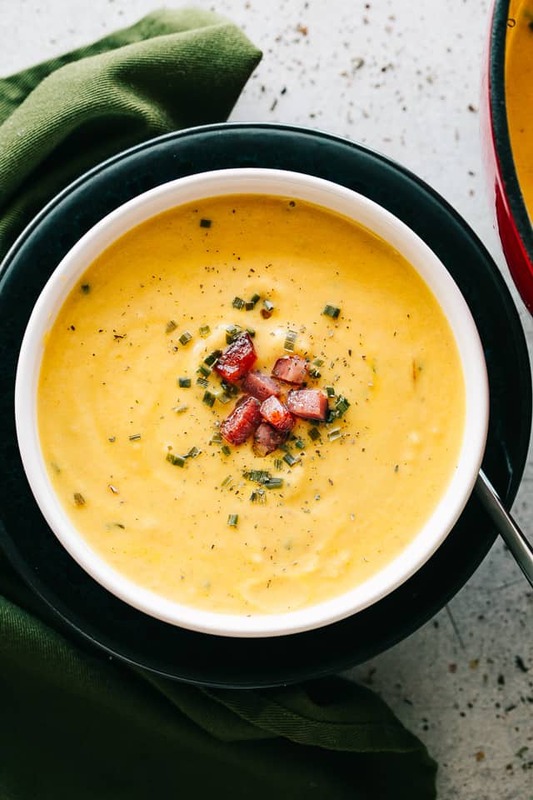 This healthy low carb cauliflower soup is a great way to use up leftover ham! 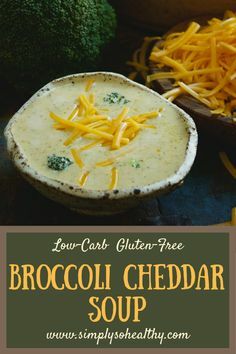 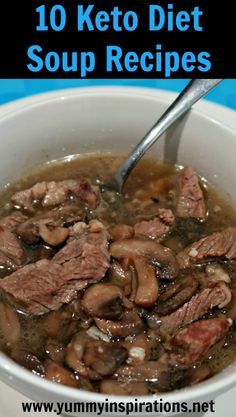 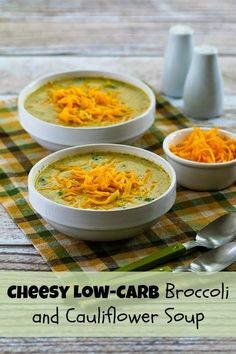 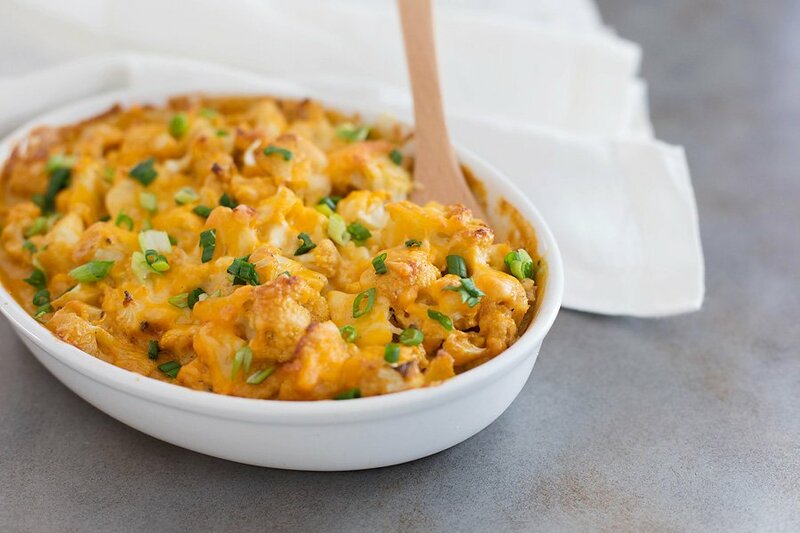 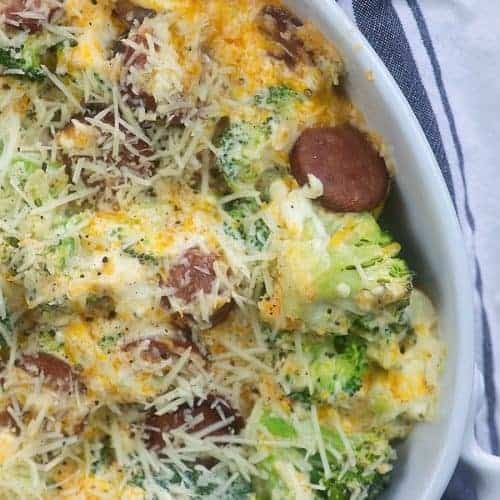 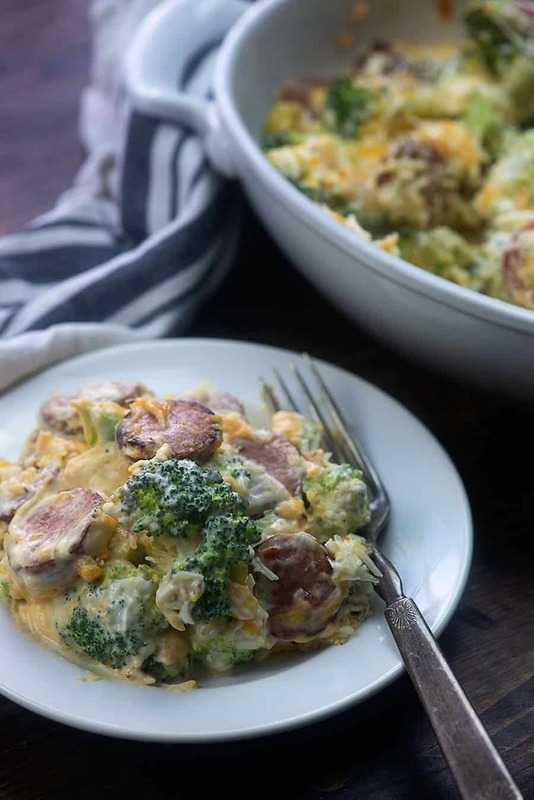 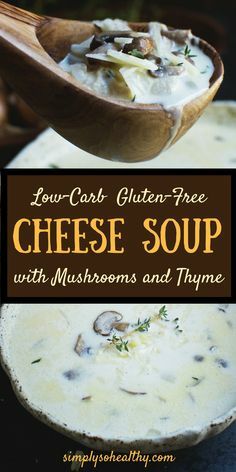 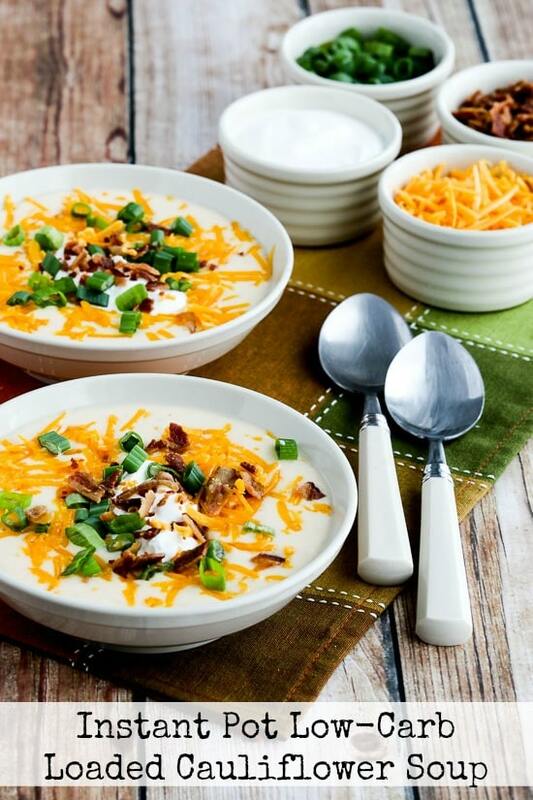 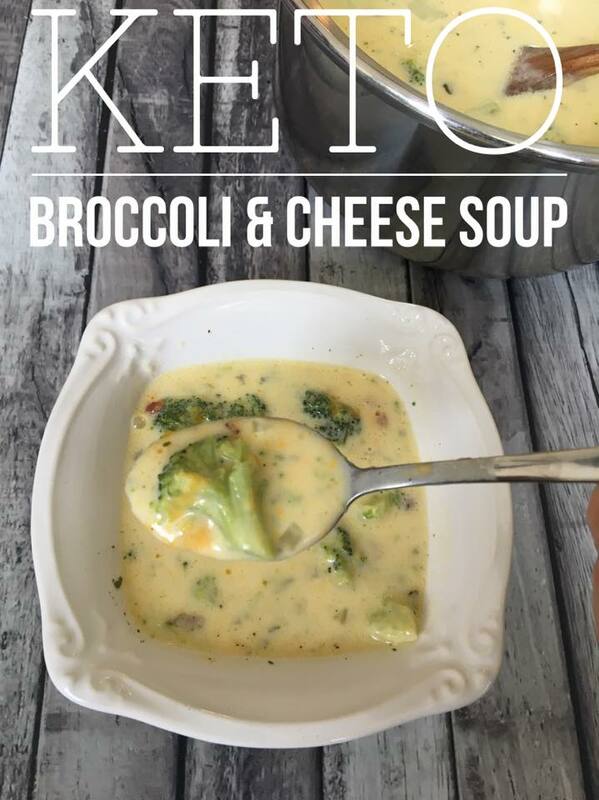 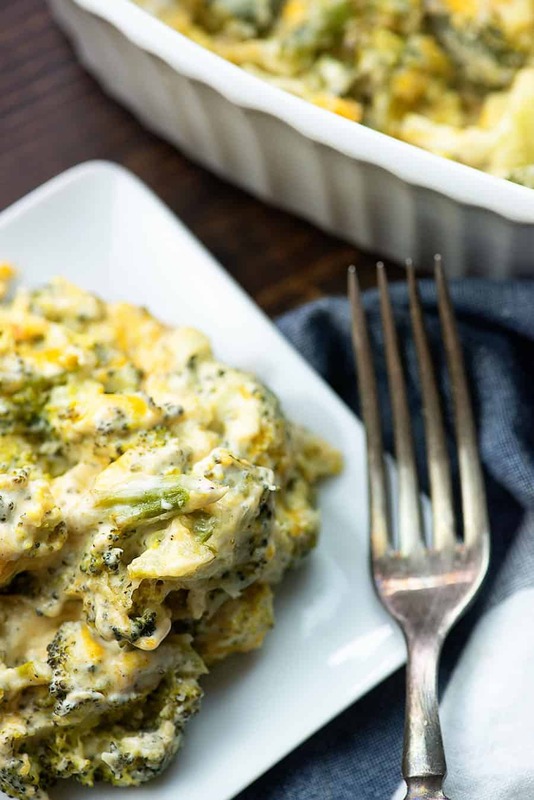 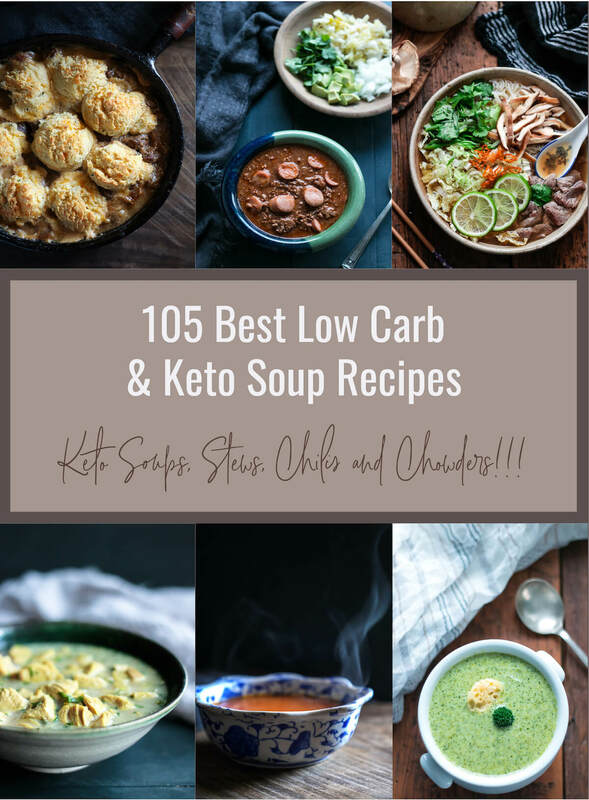 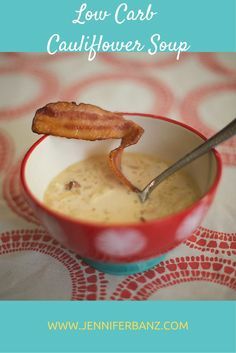 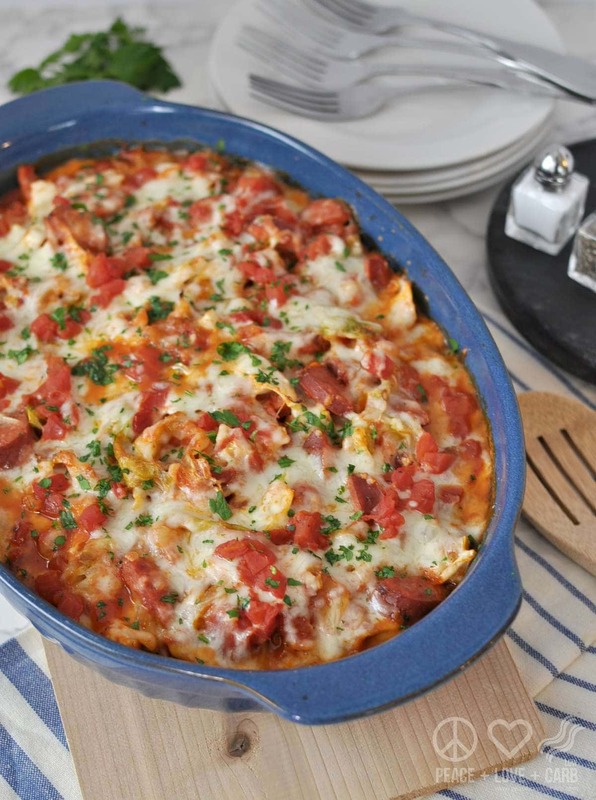 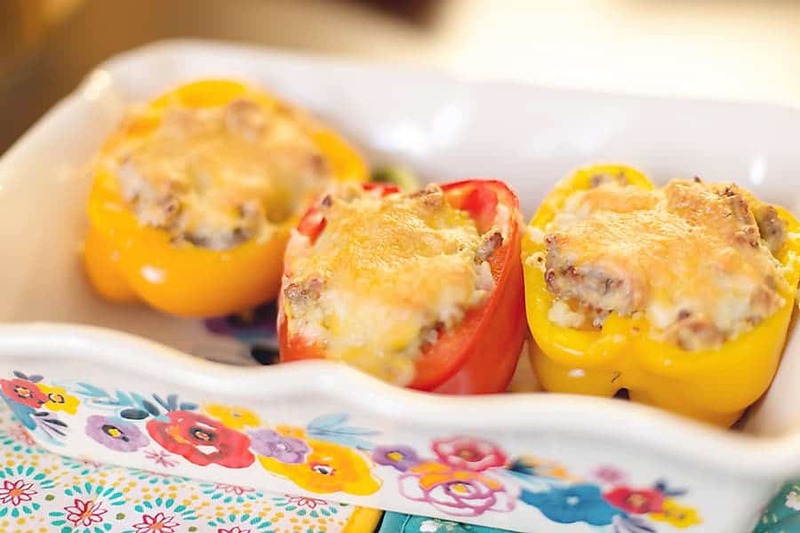 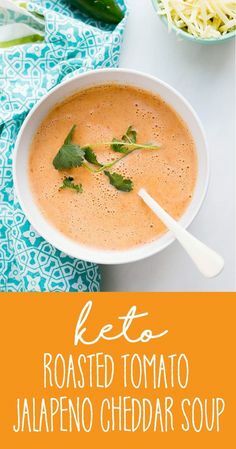 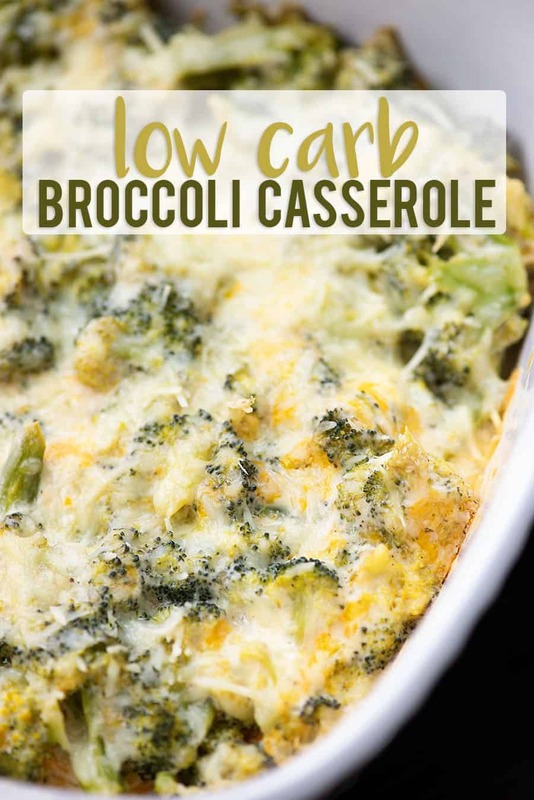 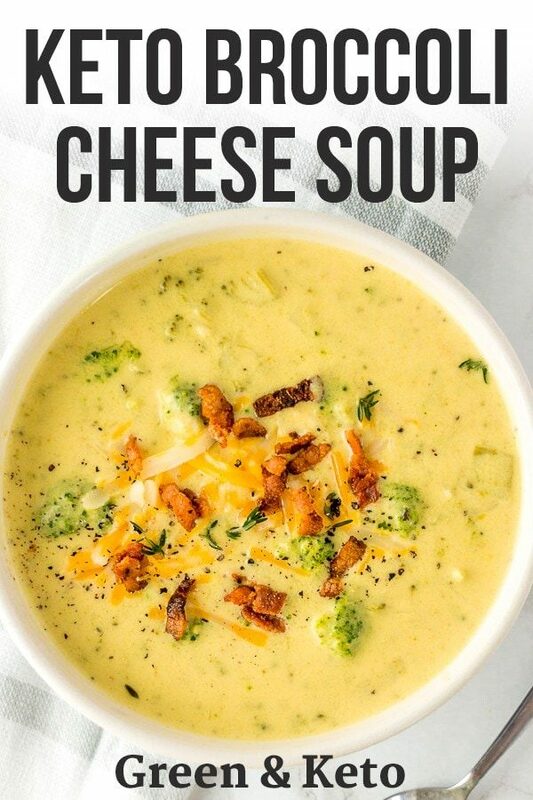 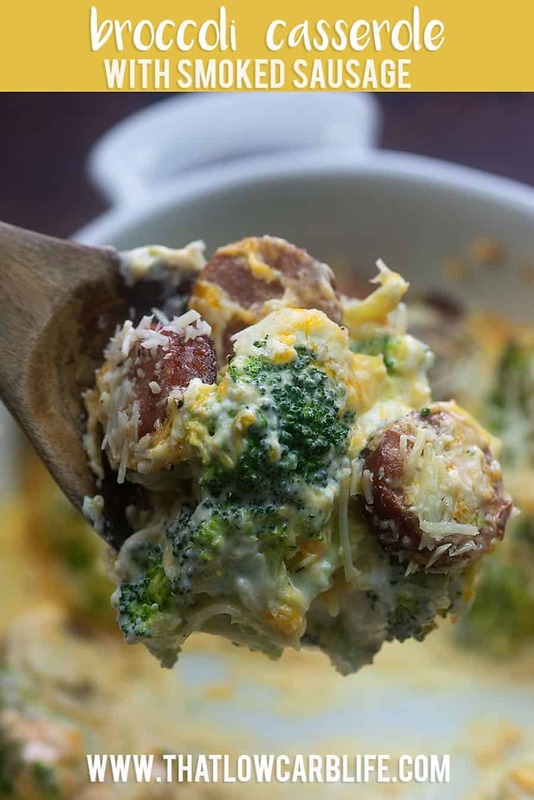 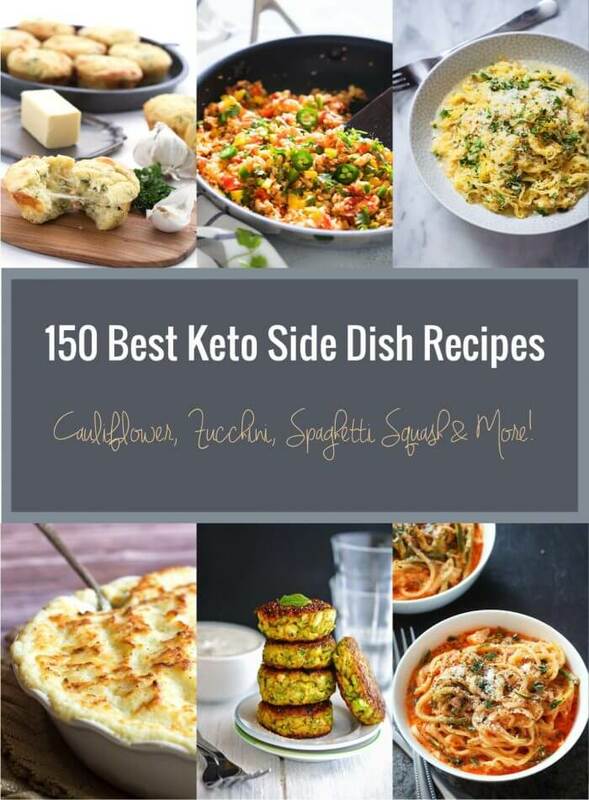 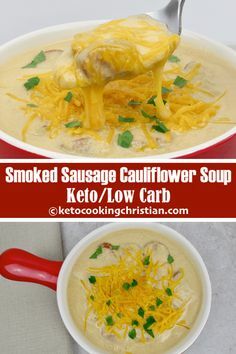 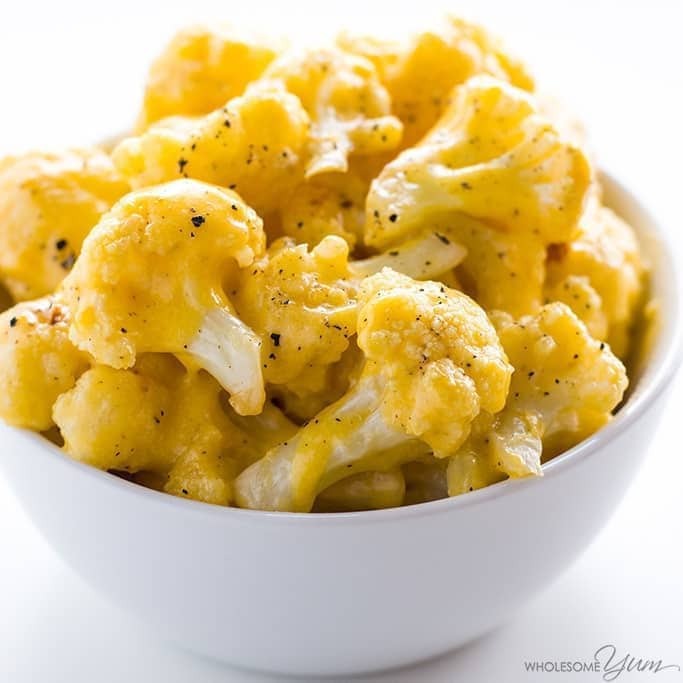 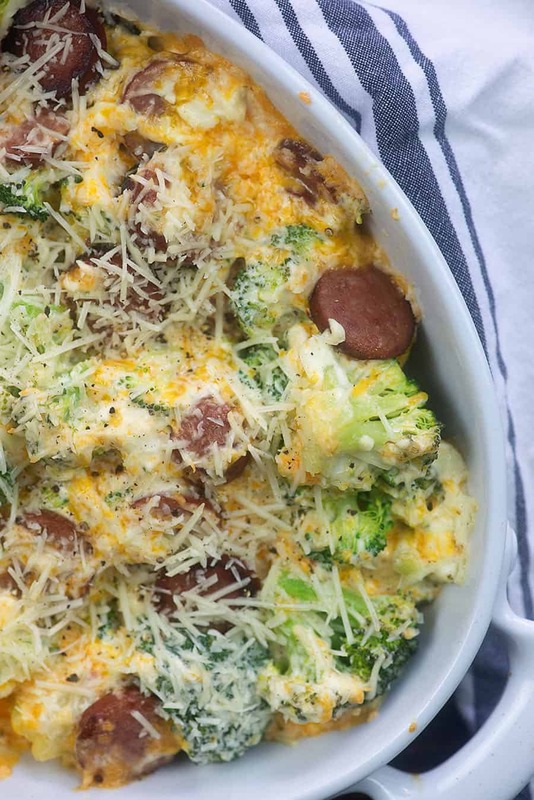 Paleo, Whole 30 and only 125 calories per bowl! 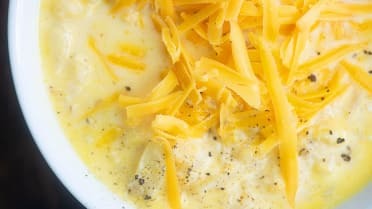 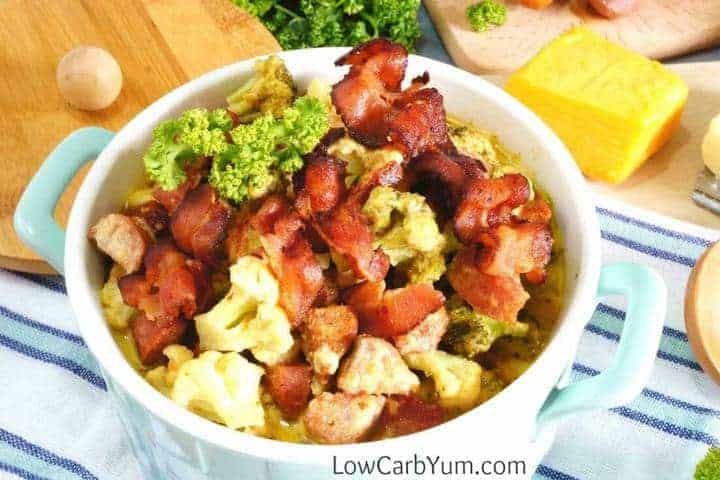 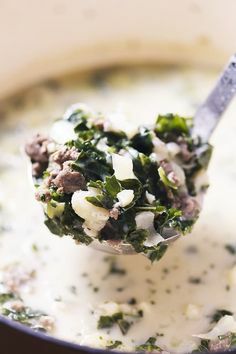 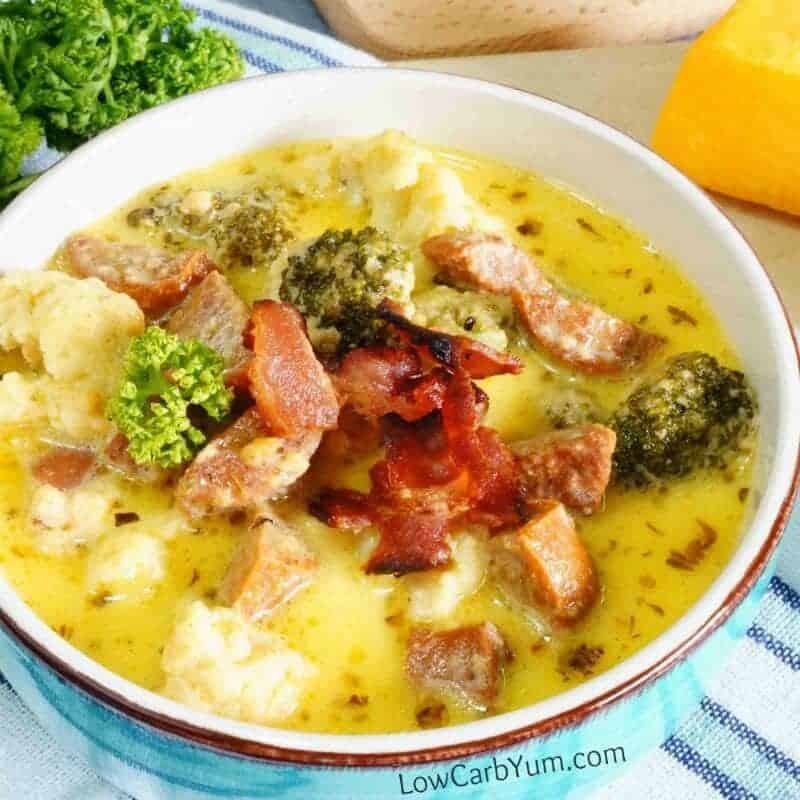 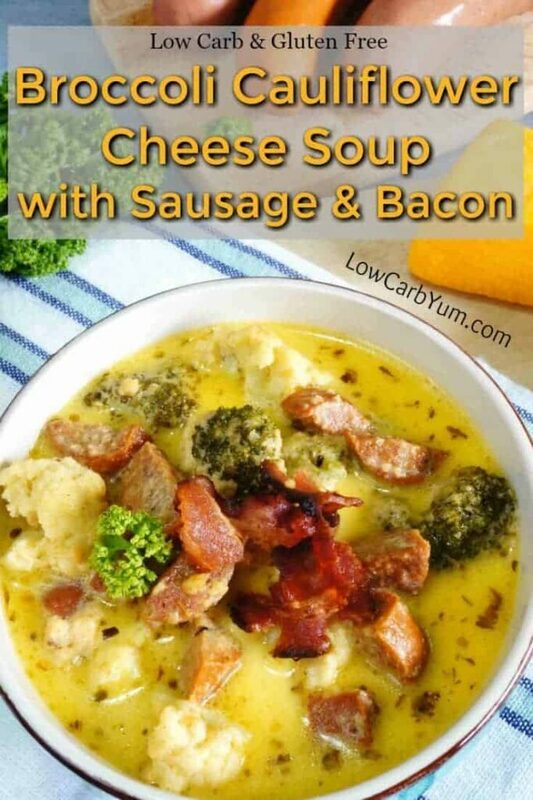 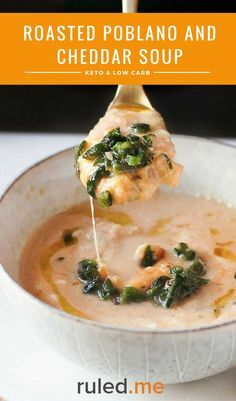 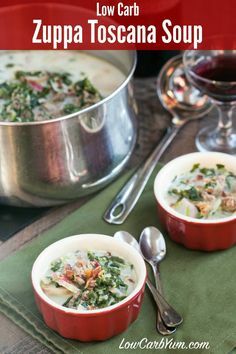 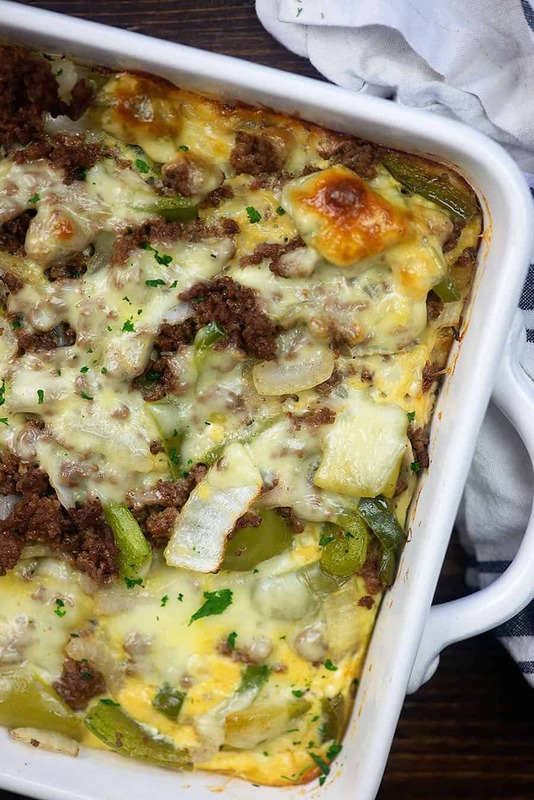 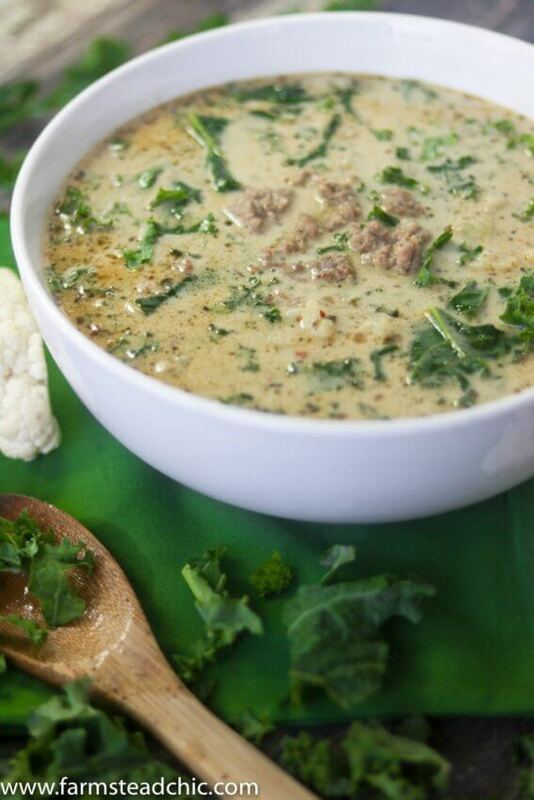 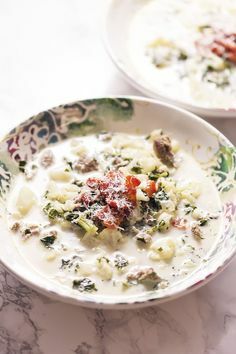 Low Carb Zuppa Toscana Soup uses cauliflower in place of potatoes. 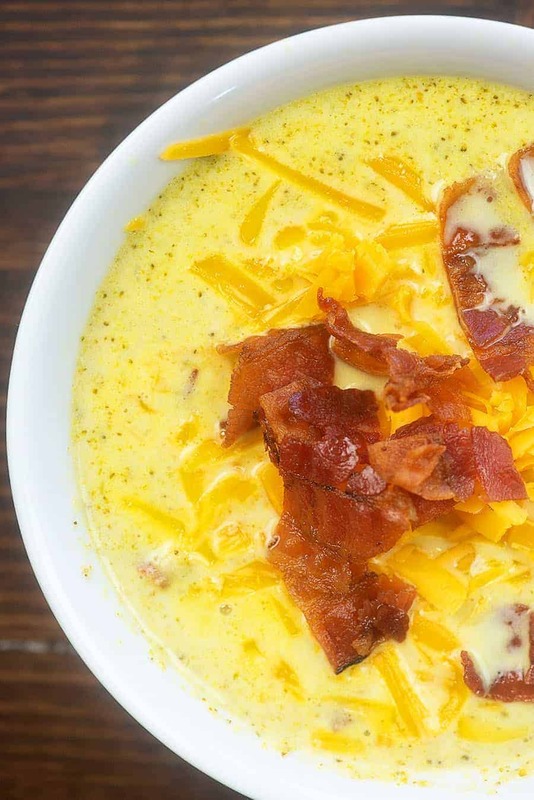 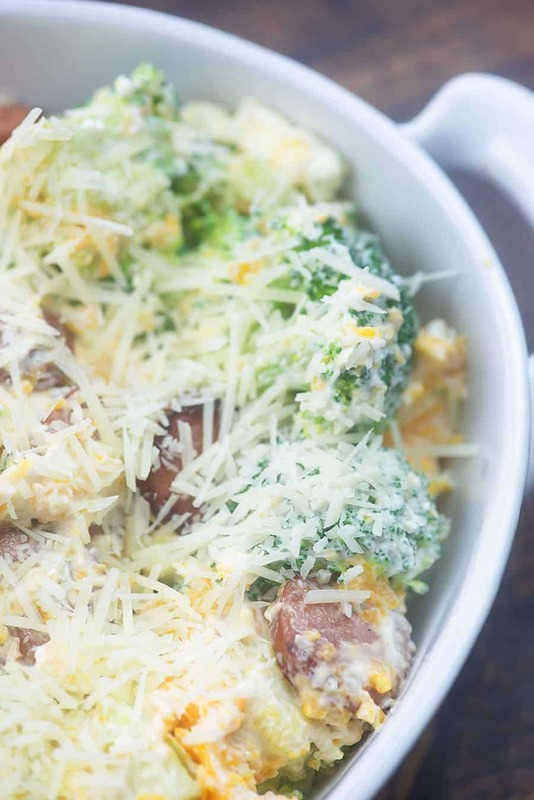 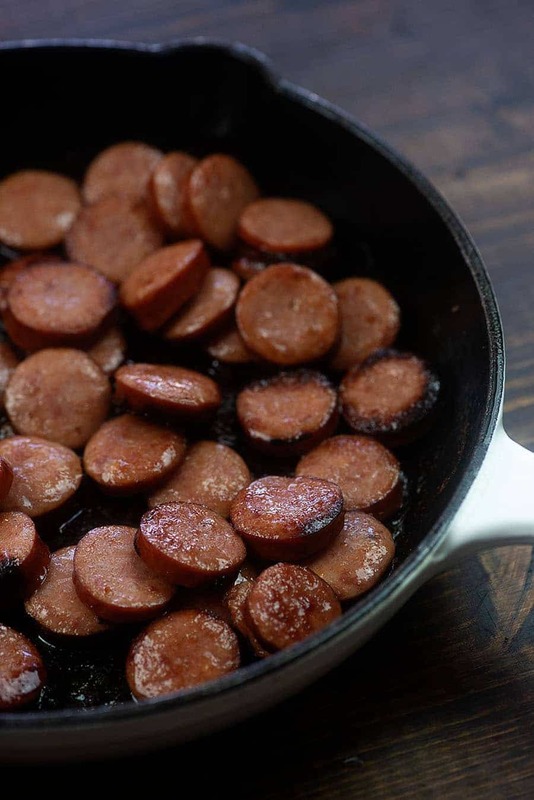 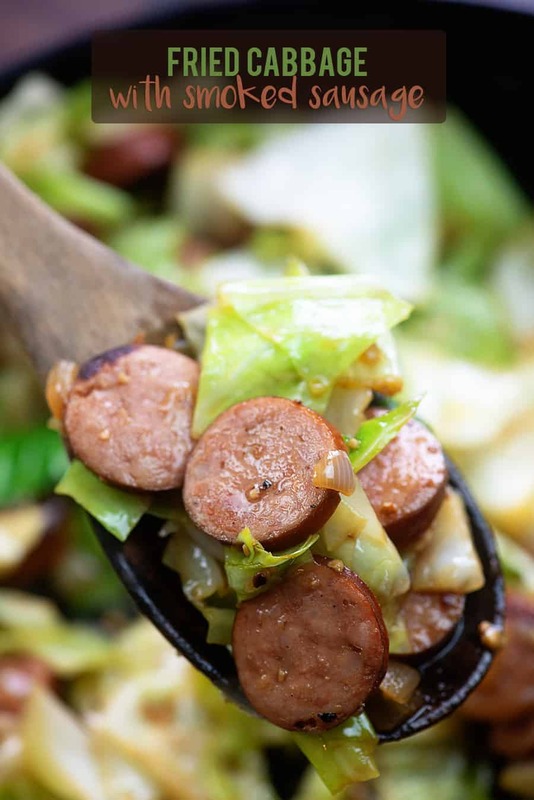 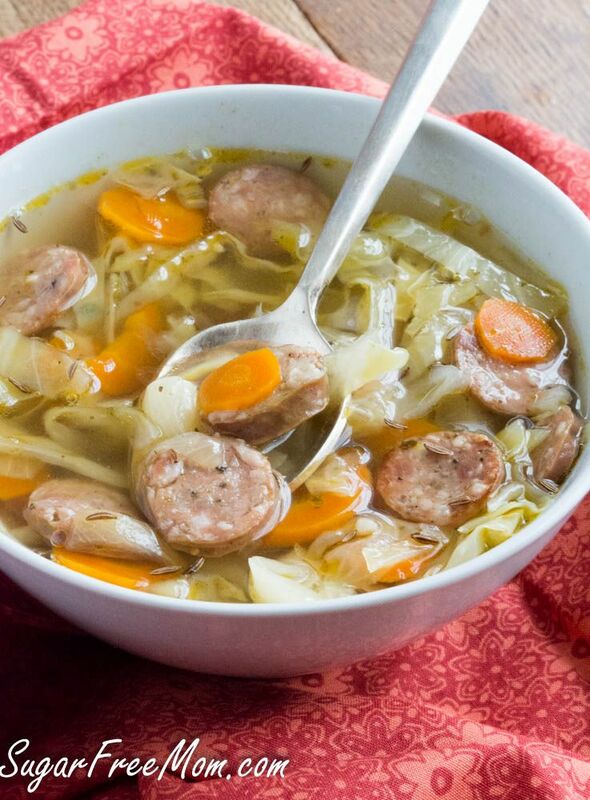 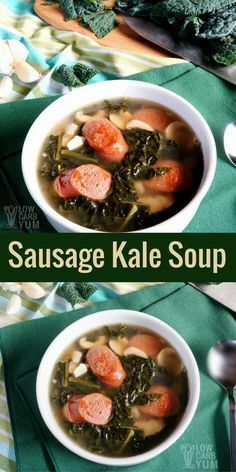 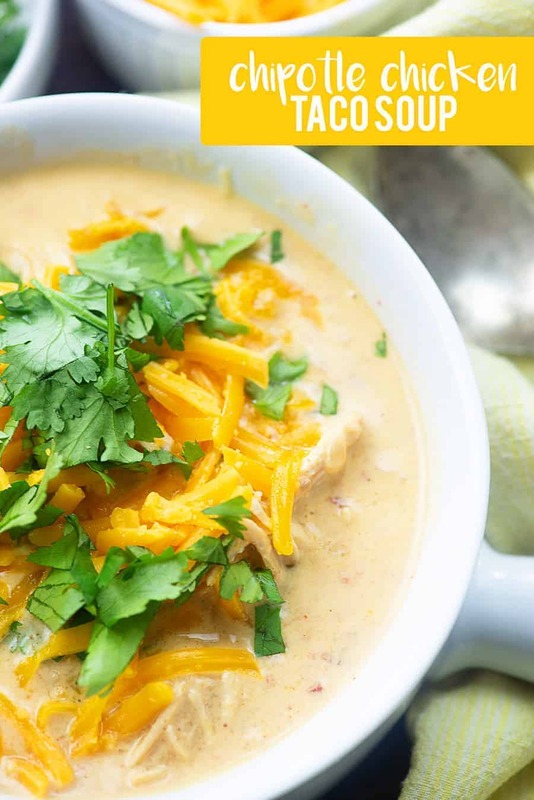 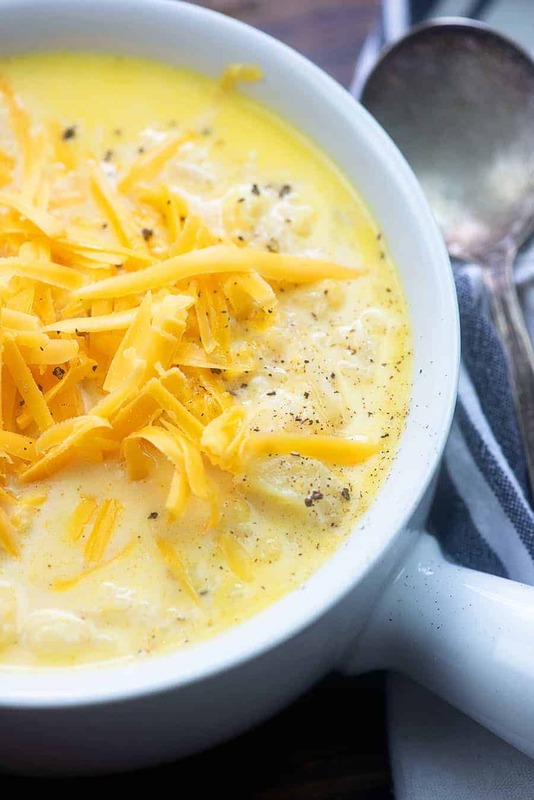 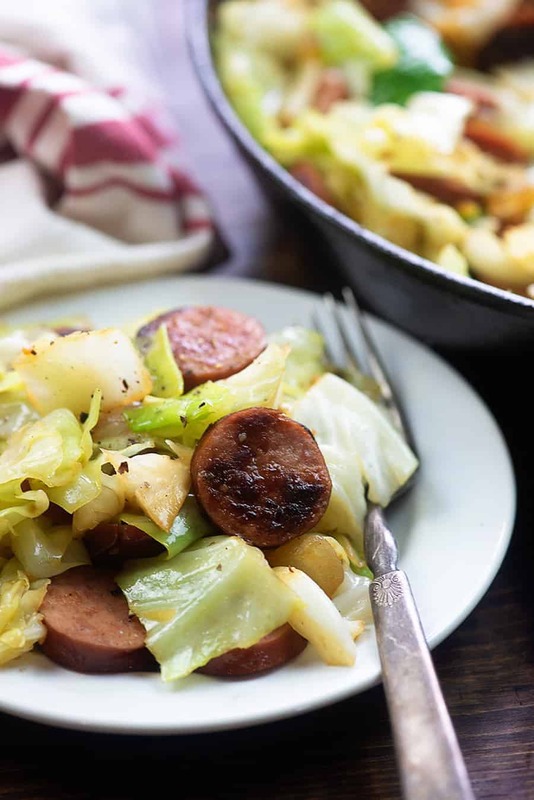 Yummy sausage makes this soup a meal.